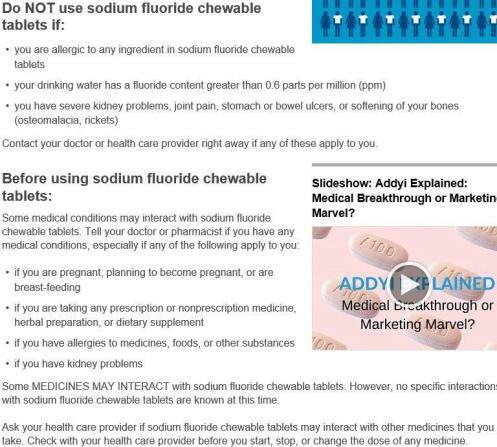 Some anti-fluoride campaigners are using drug warnings related to sodium fluoride tablets to claim such warnings should also be placed on the fluoridated water coming out of your tap. A tablet sold in a pharmacy is different to water in a tap and such warnings must be appropriate to the tablet and its possible use. 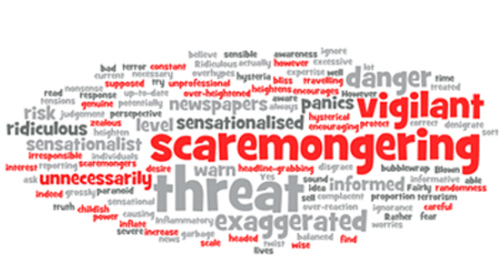 Drug warnings like this are generally all-encompassing and do no imply, by themselves, that there is any danger. So let’s compare the drug warnings for sodium fluoride tablets (using the web site that the campaigners rely on) with the warnings for other safe substances. 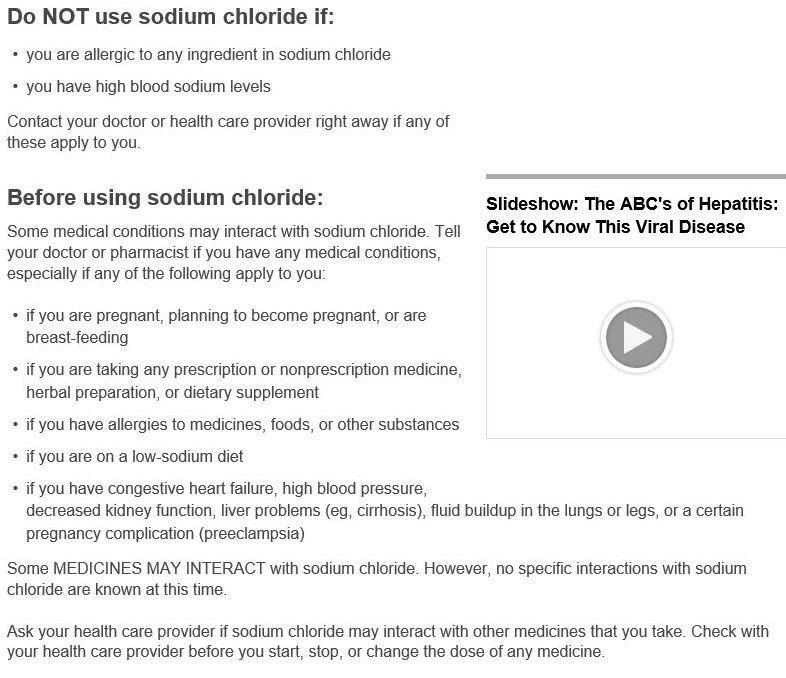 But compare this with the warning for sodium chloride from the drugs.com site. Using the anti-fluoride campaigners’ logic, they should also be campaigning against sodium chloride – the ordinary salt in so much of our food. 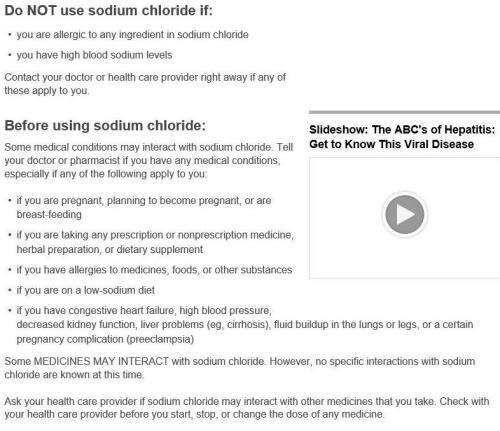 Or the chloride in our tap water derived from natural sources and the chlorination treatments. Their warnings that pregnant women, or people with allergies, shouldn’t be drinking tap water is just naive scaremongering.